Annecy is a dynamic city, animated throughout the year by numerous sporting and cultural events. 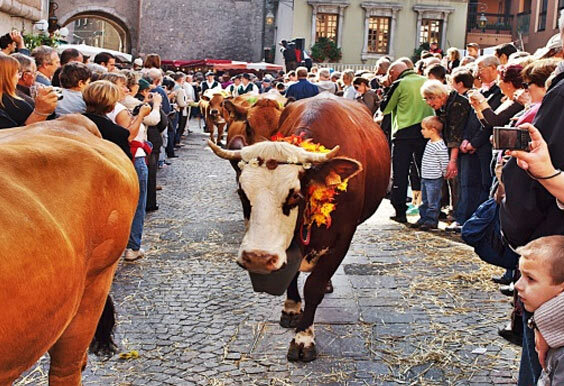 TAKE ADVANTAGE OF YOUR STAY TO PARTICIPATE OR ATTEND THESE EVENTS Whether you have heard of the internationally renowned Lake Festival or you discover the traditional return of the Alpine pastures, all the seasons offer you an event! Lake Annecy FestivalThe city - on the lake side - will again shine on the Lake Annecy Festival. 1h10 of non-stop show to appreciate the magic of the place, the absolute symbiosis between music and fireworks, entertainment and public participation. Red Bull ElementsRowers, trailers, paragliders mountain bikers, all members of the same outdoor planet! Yet their paths intersect little or never compete ... The Red Bull Elements, pure concentrate of endurance sports, will bring them together for the 6th consecutive year, in Talloires, on the shores of Lake Annecy.